Are you are interested in pursuing a career in law enforcement? 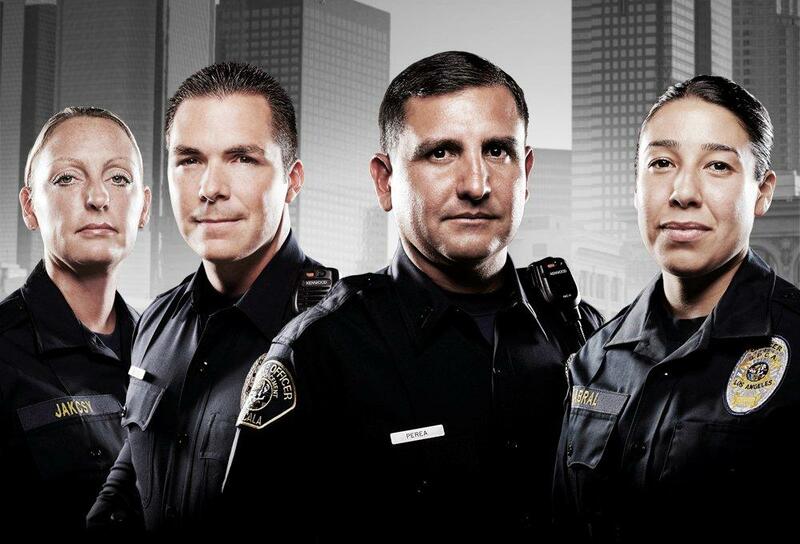 The only way you can achieve your goal is by going through a physically rigorous training program that combines hands-on-training, and academic coursework at the police training academy. These core curriculum will bring you up to speed on criminal and traffic laws that govern your state. If you didn’t already know this, police training academies are state operated law enforcement training facilities, and like any other learning institution, all new recruits must pass the police academy tests, as well as a polygraph examination in order to gain acceptance into full-time training program. Some states also require that all potential recruits pass an oral board interview. However there aren’t a whole lot of states that require an interview for acceptance, but it was worth mentioning. Many states like the Vermont Police Academy won’t let you step foot on their property unless you’ve already passed the physical fitness test, psych test, and written examination requirements. Since the federal government doesn’t have set guidelines on how to operate a law enforcement academy, every state has their own requirements. 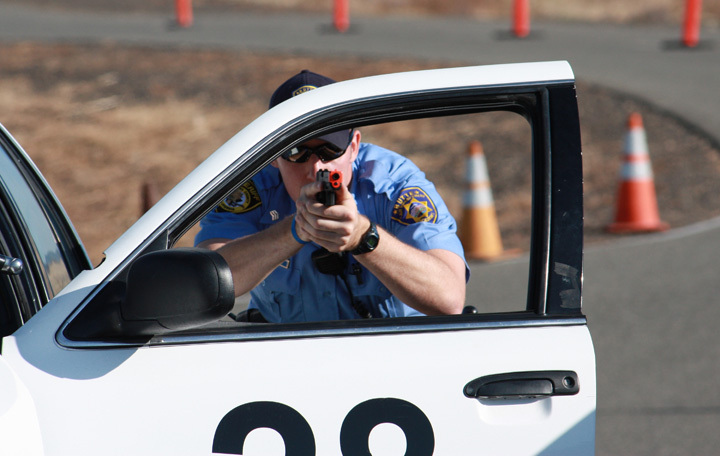 difference in training can differ from age requirements, course load, and protocol for scoring the police academy test. While the training and testing process may vary from state to state, this article will more or less, provide you with clear cut ways to get into shape for the police academy. As you will soon find out, surviving the police academy requires superb physical conditioning. Individuals who join the police academy come under different circumstances. Some recruits attend the academy after being hired by a local PD, while others will put themselves through the academy. In the case where recruits aren’t sponsored by a local police department, they will be responsible for all accrued cost, and payments for training. For that reason, self sponsorship isn’t all that popular in many states. While what I have indicated are the typical requirements for joining a police academy, it is important to note as I mentioned earlier that requirement vary from state to state. For instance, the police academy age requirements for the Rhode Island State Police and, the Detroit Police Department is 18 years. That’s a drastic difference from other populated states like Indiana, California and Texas where the age requirement is 21. Florida is another odd ball state that has a weird age requirement of 19. I personally believe that the age requirement should be 21 across the board. I think back when I was 18 years old, I wasn’t close to being mature, let alone carry a gun. Knowing what is required to join the police academy is important, but equally important is familiarizing yourself with is going to be on the written exam and the physical fitness test. Looking over sample questions are a great way to prepare yourself for the entrance exam. Usually the entrance test or the license exam is similar to that of the licensing examinations administered by the Texas Commission on Law Enforcement (TCOLE). You can easily obtain test information from your local police department, past cadets, as well as some police training books and other police training manuals to aid you in your preparations. The police academy entrance exams often comprise of scenario/judgment base questions, which assess your critical thinking skills, as well as basic math, writing skills, and reading comprehension. Another major challenge when applying to the police academy is the phyiscal fitness test. Many recruits are totally unprepared for this test, and as a result totally bomb the test. The bottom-line is you must pass the police academy physical fitness test to get full acceptance into the academy. The fitness test involves a collection of difference physical activities which measures your strength, agility, and endurance. Some of the tests you’ll likely have to perform include push-ups, pull-ups, standing broad jump, a timed run, and flexibility test. Warm-up or stretch: You need to warm-up before any exercises in order to stimulate your cardiovascular system and muscle groups to reduce your risk for injury and increase performance. Run: The idea behind running is to increase your speed and endurance, so that you can meet the minimal standards for running at the police academy. Run on both flat and hilly courses for about 1.5 miles every day, while timing yourself, in order to get your time under 11-13 minutes or so. Strength/calisthenics: You need to develop your ability to get-up and down, squat, lunge, twist, reach, push, jump, and land, which are the typical actions required of law enforcement officers during working hours. Calisthenics build your strength and enhance endurance without causing over-use injuries associated with repetitive motion. Additionally, the exercises improve mobility by exercising limbs to through a complete, controlled range-of-motion. So, do as many push-ups, sit-ups and chin-ups as you can within a certain time frame, and try to improve gradually, while giving yourself adequate rest between each set of exercises. Cool down: This is important after vigorous activity to avoid pooling of blood, and sluggish circulation. Hydration: Water is essential for all body functions and movements, so ensure that you take plenty of it, especially when doing strenuous exercises or training in hot waters. You can download a study guide to review practice test questions and best answers. Fortunately, the test doesn’t require that you have previous law enforcement experience.Meaning you don’t need previous knowledge of law enforcement to pass this examination. There are police training books and downloadable ebooks on law enforcement available online that can come in handy. It is advisable to go through law enforcement books online because there is a section in the written test that contains questions requiring you to read a comprehension on law enforcement protocols, and answer some question on it. In addition to training vigorously for the police academy fitness test, and studying books for police officers to pass the written exam, you must make a few changes to your lifestyle. All police academies hold the appearances of recruits to strict standards, and demand military fatigues, shined shoes, and close-cropped hair for men, at all times during the training. Your personal conduct will also be under scrutiny to prepare you and other recruits for the strictness of law enforcement. In addition, you will have to eat more healthful foods, like lean meats, fruits and vegetables, and a lot of water, while avoiding processed foods, sugar-filled foods and drinks, and carbonated drinks. Depending on the length of your training program, it will take you 6 – 8 months of this severe lifestyle in the academy, before you can become a certified police officer.